Huss Brewing Company is elated to announce it will be opening a second location this December. Huss Brewing at Uptown Plaza, will be its new flagship taproom, and will be located in the recently renovated Uptown Plaza on Camelback Road and Central Avenue. The new taproom will mainly focus on Huss Brewing’s locally crafted, award-winning beers, including, the 2016 U.S. Open Medal winner Scottsdale Blonde, and multi-medal award winning Husstler Milk Stout. The brewery also plans on releasing new, unique recipes brewed specifically for the Phoenix location, and it will have a kitchen offering light snacks too. I think it’s cool that we can have some beers only available at the Tempe Taproom, and now have unique selection(s) at the Uptown Taproom,” said Jeff Huss, owner and brewmaster. Huss Brewing at Uptown Plaza will be joining both local & national renowned restaurants at the newly revitalized Uptown Plaza in Central Phoenix. Uptown Plaza is managed by Vintage Partners, the Arizona-based commercial real estate development and Investment Company. Vintage Partners recently completed its 20-month-long restoration and revitalization efforts at Uptown Plaza, it was originally built in 1955. Today, it stands as Central Phoenix’s hotspot for a communal, stylish and tasty dining & shopping experience. 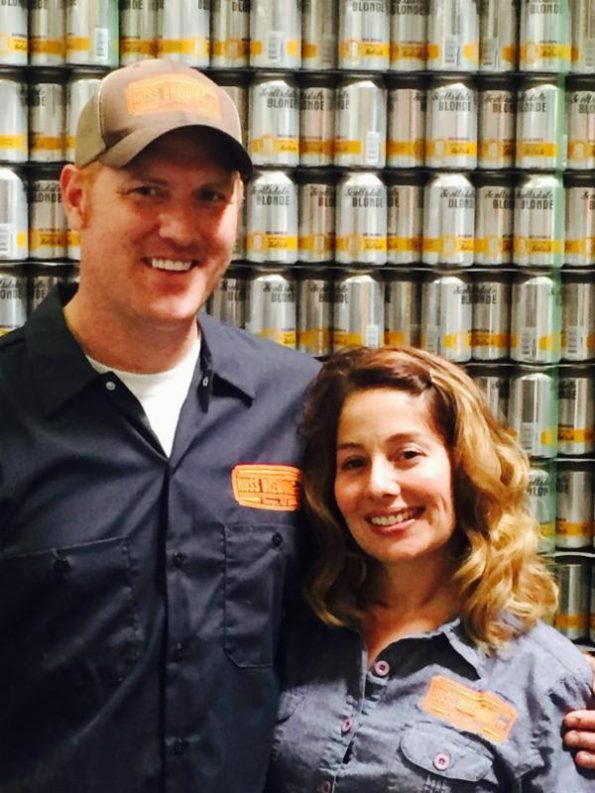 Jeff and Leah Huss embody the spirit of the Arizona craft beer movement, and their beers serve as a pint-by-pint reminder that our state produces some of the best high-quality, locally produced brews. We are honored and excited to welcome Huss to the Uptown family,” says Walter Crutchfield, partner with Vintage Partners. Opening a neighborhood spot where people can relax and enjoy one of our beers and pick up a six-pack or growler to take home is a huge plus!” said Jeff Huss.